Spy poisoning: How will it affect UK-Russian relations? “Remember to look up at the stars and not down at your feet.” - Stephen Hawking, 2010. Stephen Hawking, renowned theoretical physicist and author, sadly passed away on Wednesday 14th March 2018, age 76. All around the globe people are paying tribute to him and praising his vast contribution to the world of physics. A man of incredible intellect and wit, he will be greatly missed. Hawking was born on the 8th of January 1942 in Oxford. His mother and father were living in London at the time, but moved out to escape the bombing from Nazi Germany. Hawking was raised in London and St Albans in Hertfordshire. He studied at Oxford University, reportedly finding his first 18 months of physics “ridiculously easy”. After his diagnosis with ALS, he fell into a depression when he discovered his life expectancy was reduced to two years, and began to lose any enthusiasm to continue his studies, despite his doctors’ suggestions. Although he had difficulty walking, and his speech was becoming uninterpretable, it became apparent that two years to live was clearly not an accurate diagnosis. In the end, Sciama convinced him to continue studying. Hawking went on to live for 55 years following his diagnosis, and developed many theories that have changed the way we look at physics and cosmology. 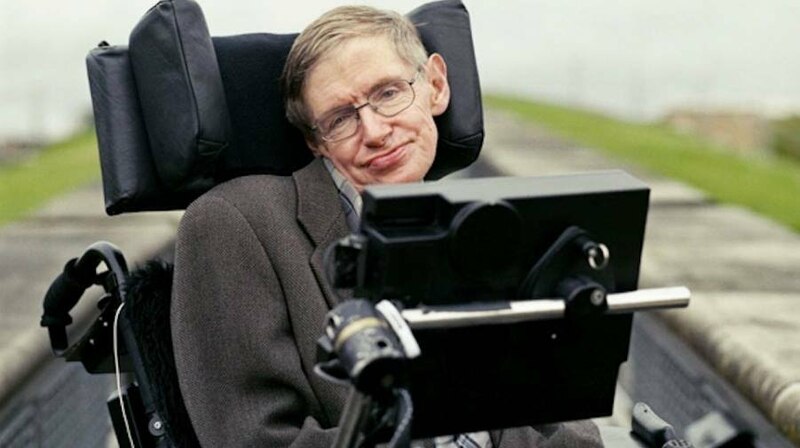 One his most notable discoveries is Hawking radiation, a discovery made in 1974, which was at first controversial, but by the late 1970’s was widely accepted and warranted Hawking being elected a Fellow of the Royal Society. Hawking Radiation (named after its discoverer) is a black body radiation emitted from black holes. It states that black holes decrease in size and mass if they don’t consume enough matter. This is due to quantum effects near the event horizon. As well as his contribution to the field of physics, Hawking also completed extensive charity work. With his initiative, the Stephen Hawking Foundation was established on 29th October, 2015. It has helped to facilitate research in different areas of science including Cosmology, Astrophysics and Fundamental Particle Physics at different levels of education. His foundation also raises awareness and provides support for those living with motor neurone disease. He is also known for his wit, having appeared famously in The Simpsons and The Big Bang Theory. His sense of humour was similarly reflected in the comic relief sketch on Little Britain, where he ‘transforms’ into a ‘Professor Stephen Hawking bot’ and blasts patronising sympathisers with a ray gun before ending the scene with a “ha ha ha”. Early in the morning of Wednesday 14th March 2018, Stephen Hawking died “peacefully” in his home in Cambridge. A very intelligent, influential and generous man, he will be greatly missed. “Stephen Hawking has given myself, as well as many others, an enthusiasm for space. He has inspired many young scientists, and has given us a clearer insight to the universe.” - Mr Western, County Upper School science teacher. “It is incredibly sad. He will be greatly missed by the science community.” - Miss Pascoe, County Upper School science teacher. “A very intelligent and respectful man.” - Emily Fairs, County Upper School student. By Ethan Colman, Felicity Ellis, Peter Lillistone, Rosie Masterman.